Shortly after sharing the photos, the university shared a short clip (no pun intended) of the tiny fidget spinner. According to the postings, the fidget spinner was created by the school’s Department of Mechanical and Industrial Engineering. 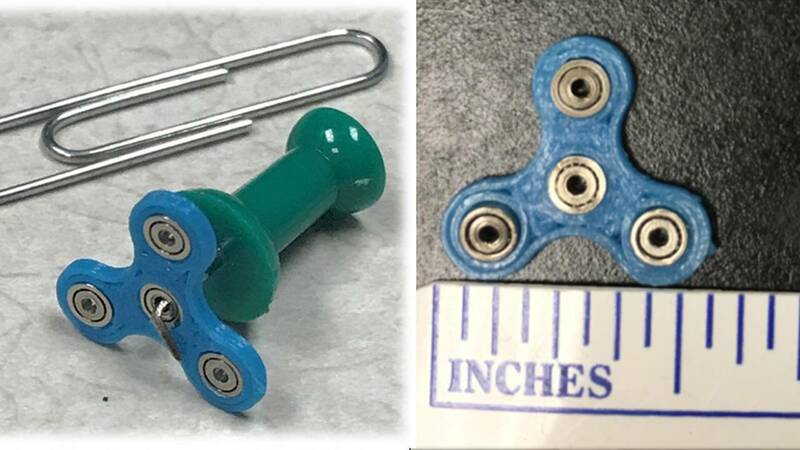 In the photos, the tiny fidget spinner is compared to being smaller that a paperclip, with the video showing it being spun on a thumbtack. The original-sized fidget spinner was made to be a stress-reliever but with this being the newest gadget, it’s safe the say this fidget spinner will bring more stress than anything if gets lost by accident.